Winter isn't coming... Winter's here! ... Y'know, solstice and all. And with winter comes winter trolls. 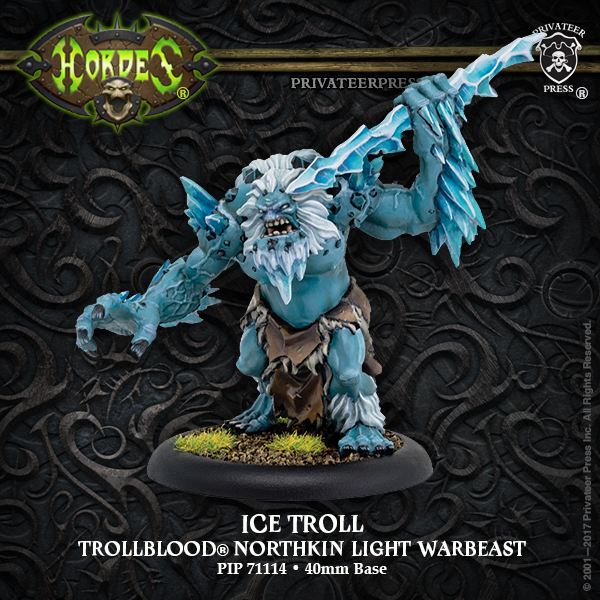 Privateer Press has posted up a preview of new kits of some Northkin troll warbeasts. 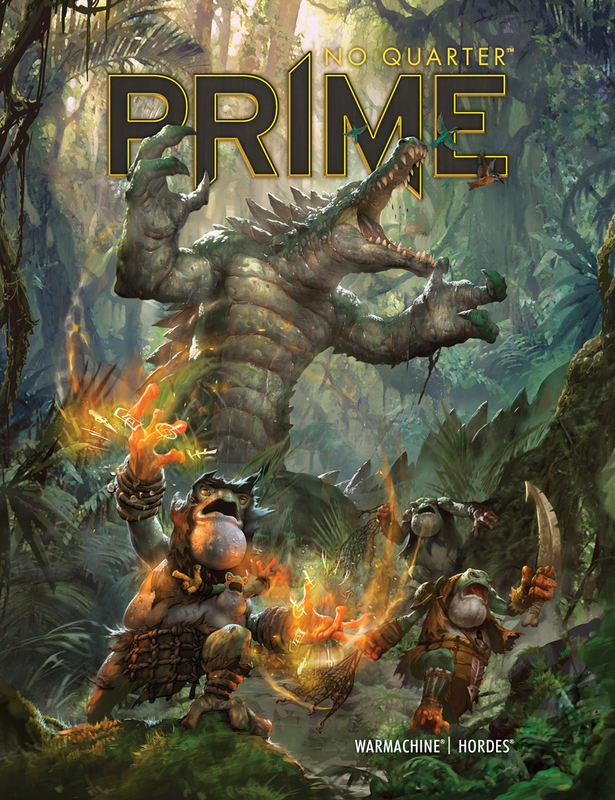 There's also a look at the upcoming issue of No Quarter Prime for you to check out. 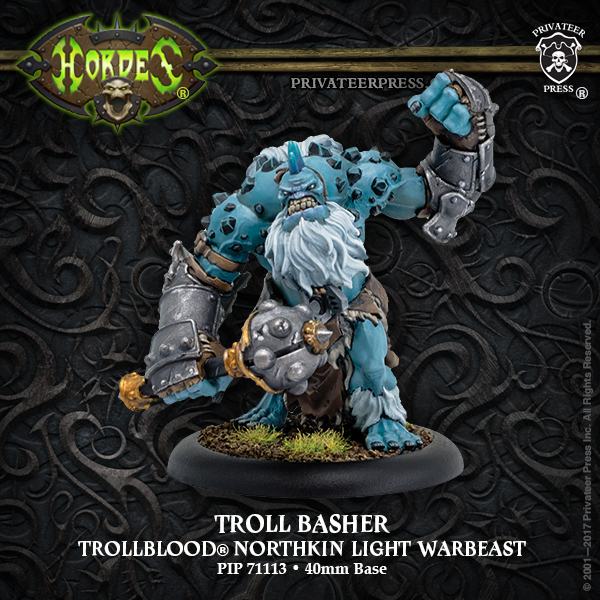 Wielding enormous maces made from salvaged scrap metal, the ferocious troll basher is the favored warbeast of many Northkin. Troll Bashers are quick to anger and enjoy crushing enemies before devouring them. Northkin warlocks often let their bashers run at the fore of battle. There, their wild swings can cause the greatest harm to massed enemy troops. Ice trolls use their innate connection to the elemental power of cold to create frozen javelins from thin air. They hurl these projectiles great distances to impale hapless warriors and pierce the flesh of warbeasts. Any who survive the impact die slower as icy javelins freeze their body from within. Long feared by all who dwell in the frozen northern regions, this fierce troll happily endures extreme cold that would slay most living things. At one with ice and snow, winter trolls expel great gusts of frozen air that rip foes apart. 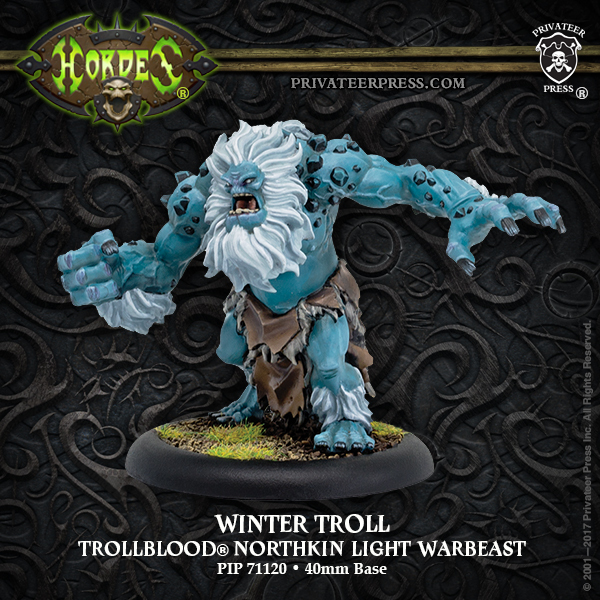 Even striking a winter troll’s flesh prompts a backlash of intense cold that paralyzes its opponents.